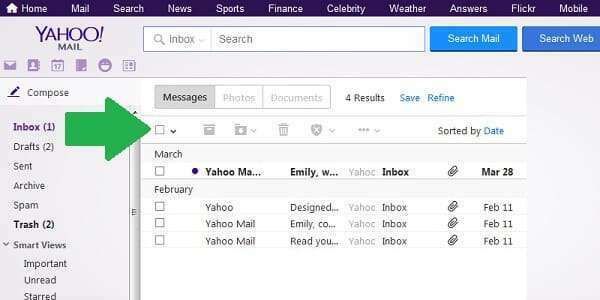 In this post, we’ve got some more useful tricks for using your Yahoo account more efficiently and effectively. 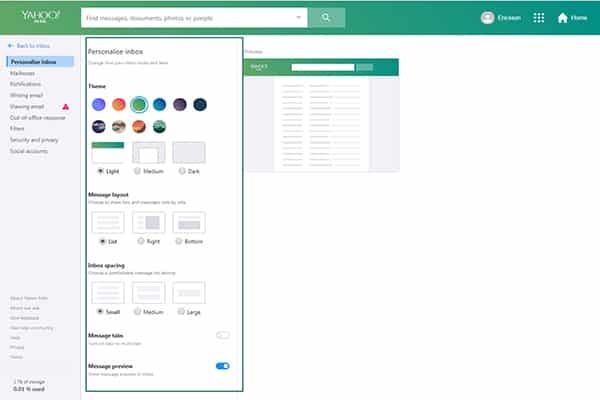 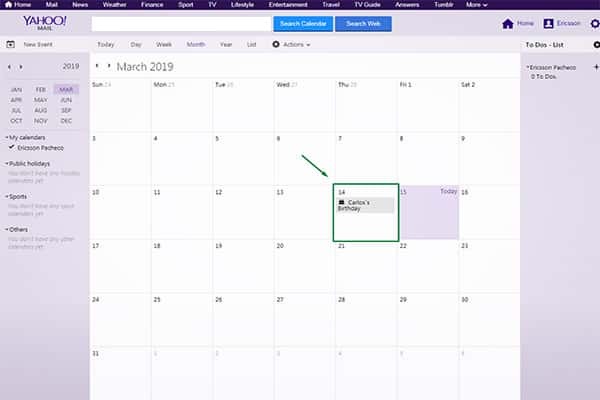 We’ll go over how to select all the messages in a folder at once (even if there are so many messages they take up multiple pages), tricks for searching for a specific email in your Yahoo Mail, and how to easily create a printer friendly version of a message (no ads or other nonsense). 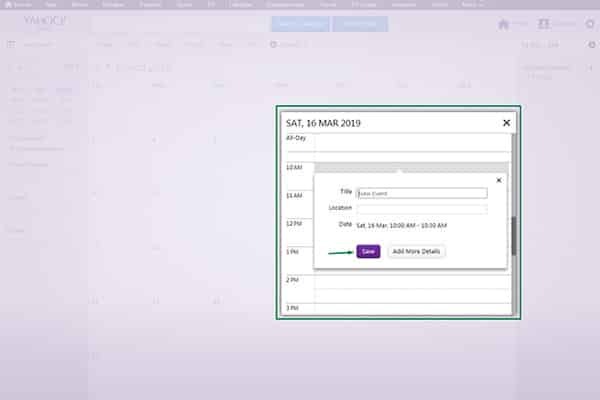 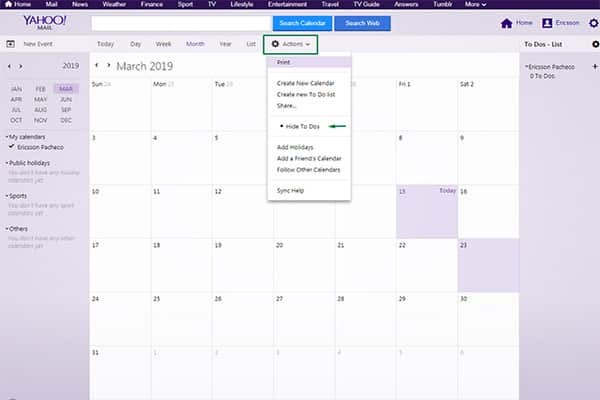 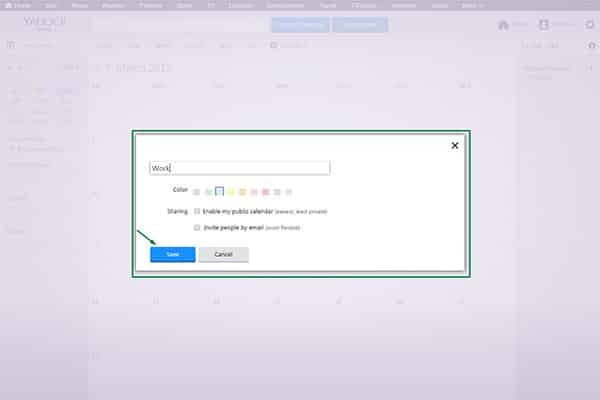 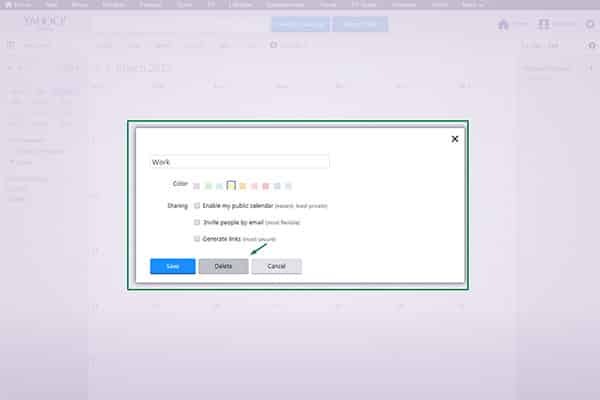 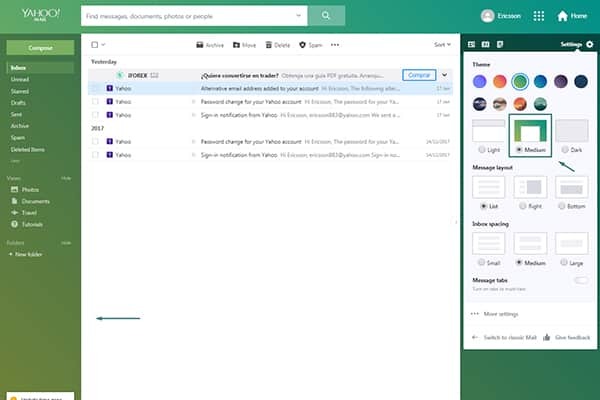 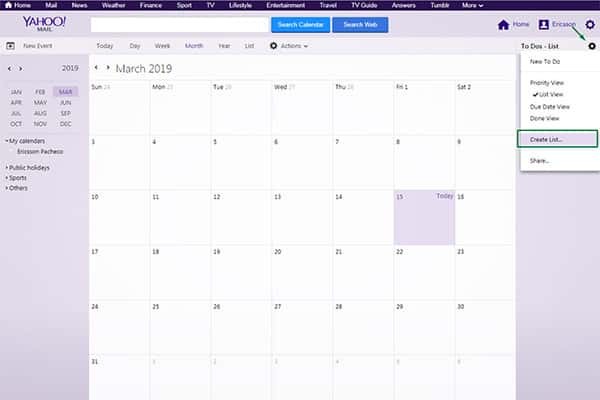 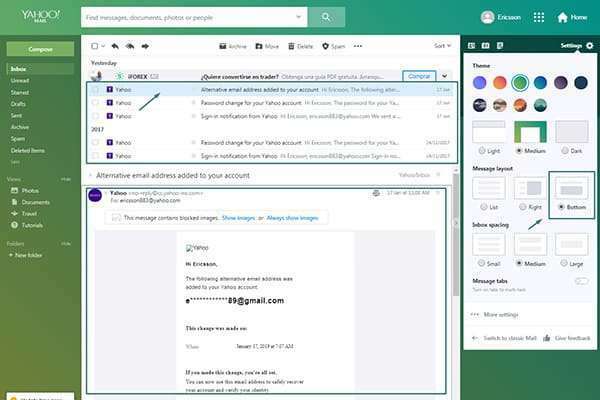 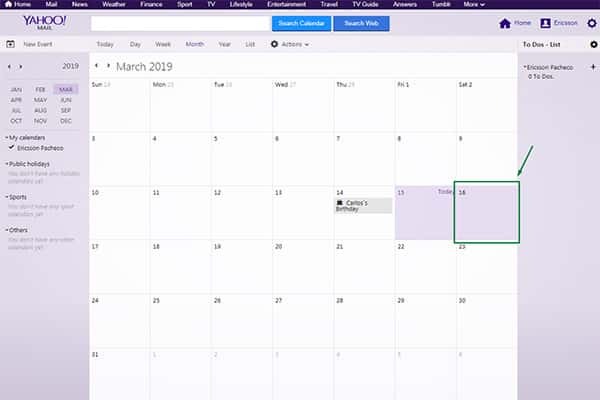 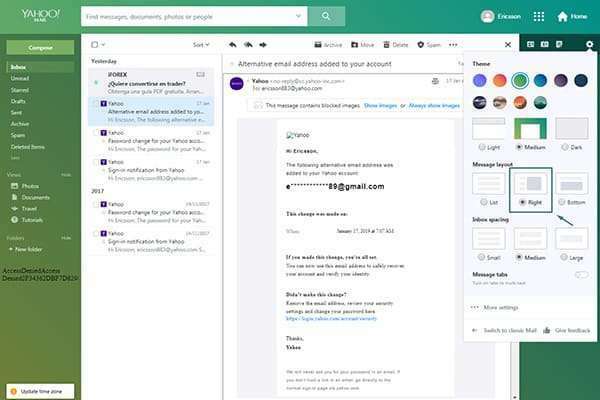 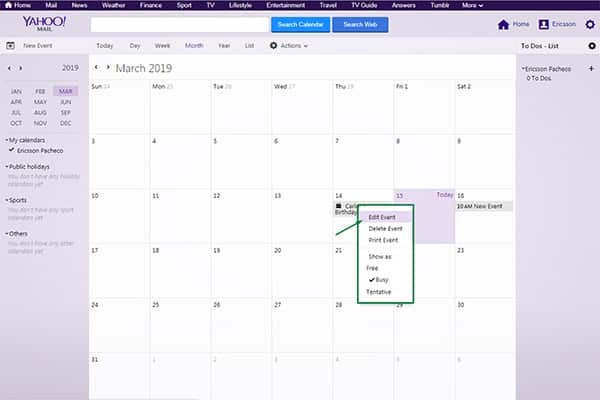 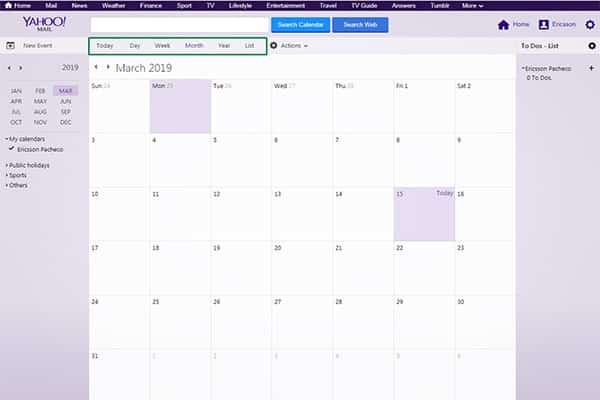 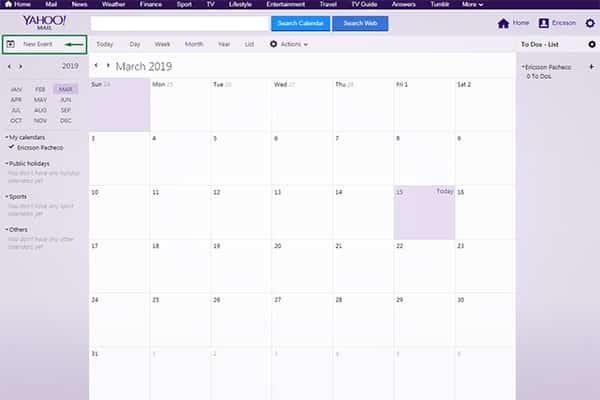 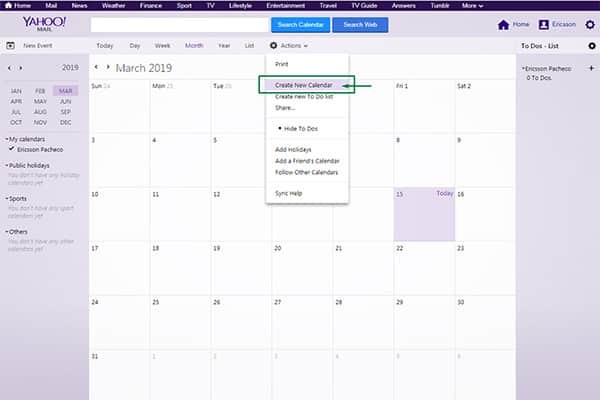 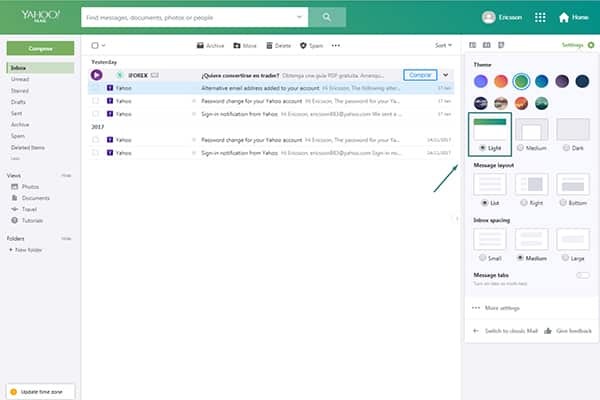 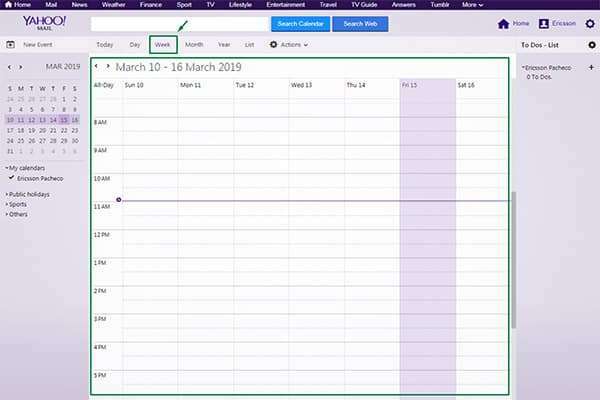 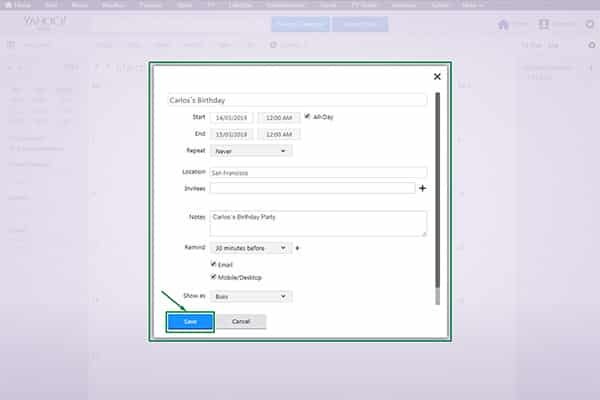 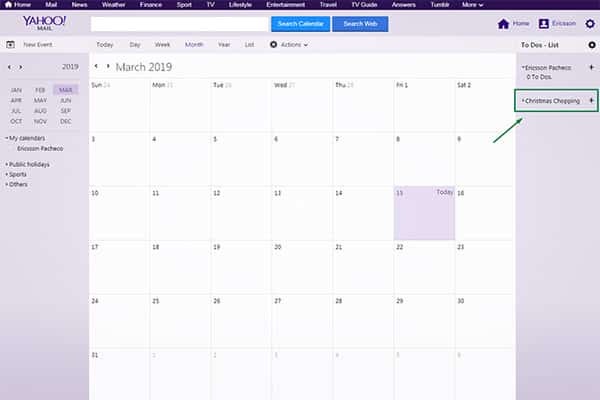 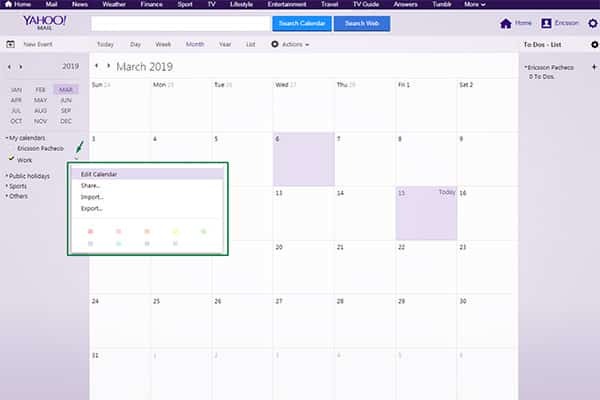 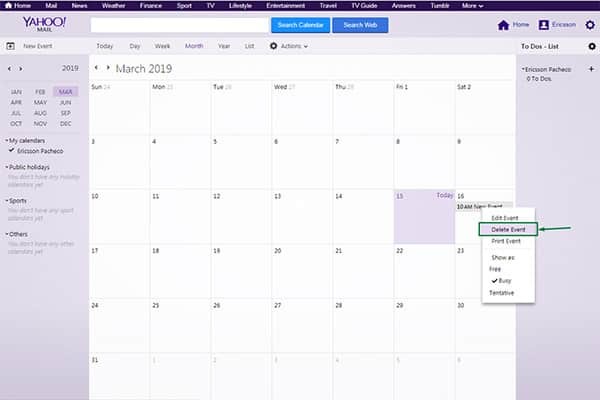 By the time you find a few minutes to organize your Yahoo email, you might already have hundreds upon hundreds of emails in your various folders. 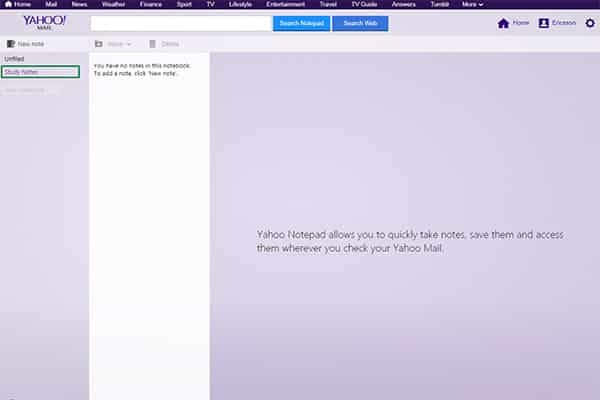 And when you have that many messages, they can’t all be displayed on one page – instead, Yahoo breaks them up into multiple pages. 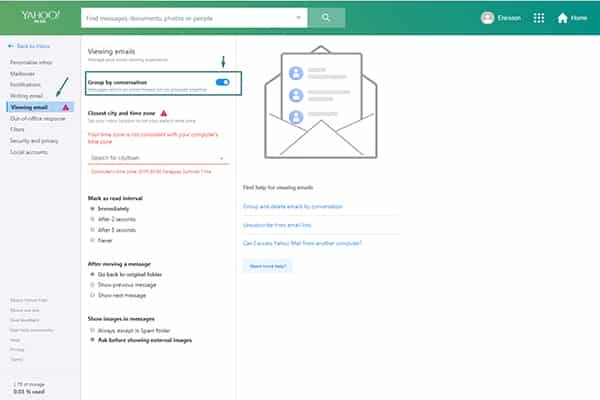 That means that if you wanted to select all 486 emails from a particular folder using the normal method, you’d have to click the “Select all” checkbox for each and every page that those messages are one. Yuck. 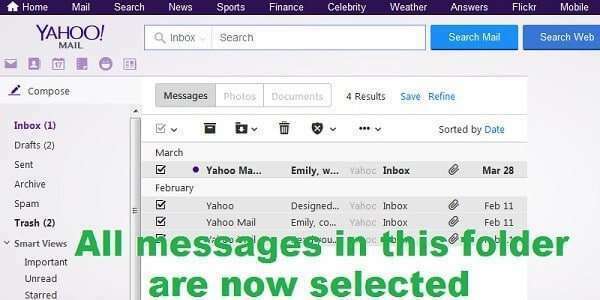 Fortunately, there’s a much faster way to do this using Yahoo’s “Search mail” feature. 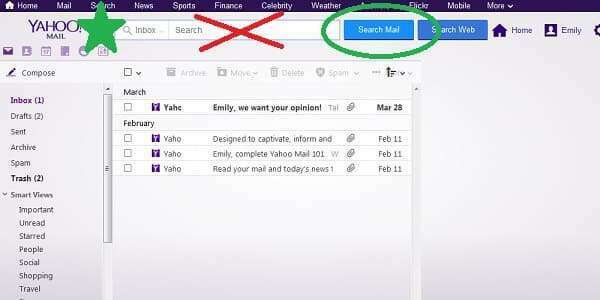 At the top of your Yahoo Mail inbox, there is a search bar that you can use to search your mail. 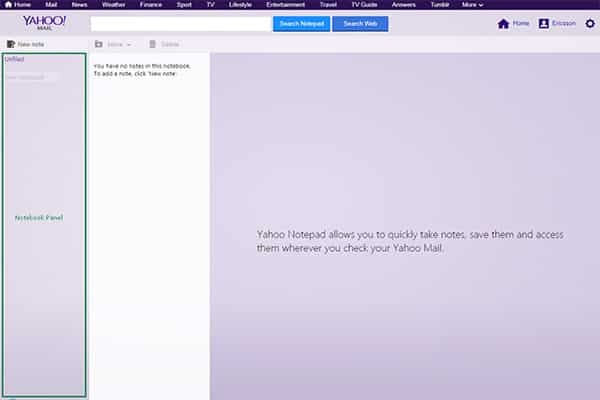 To the left of it is a small drop down menu that lets you choose which folder of your mail you want to search in. 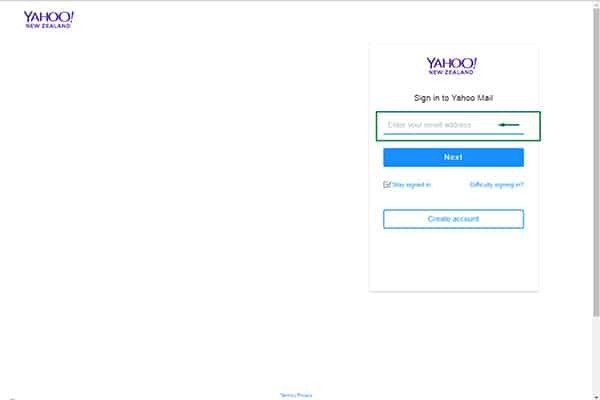 By default, this is set to “All”. Let’s say I want to select all of the messages from my Inbox folder so I can move them somewhere else (Trash, Archive, etc.). 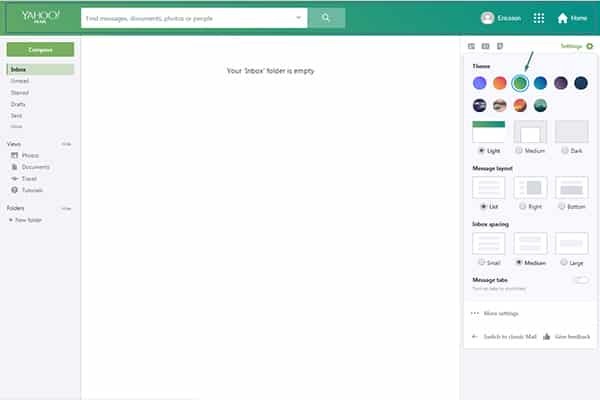 I would click on the folder menu and select “Inbox”. 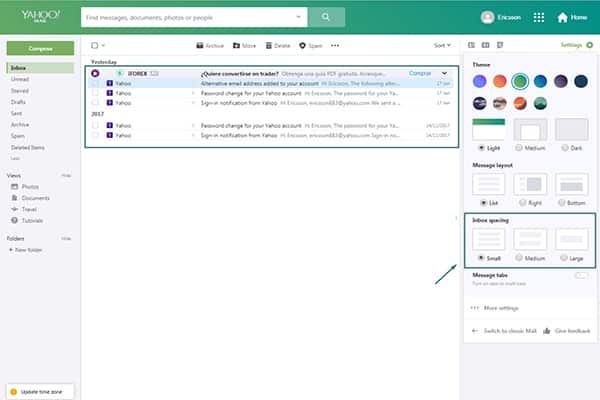 Just select whichever folder you want to select all messages from. Once you’ve selected the right folder, don’t type anything in the search bar, and just click “Search mail”. 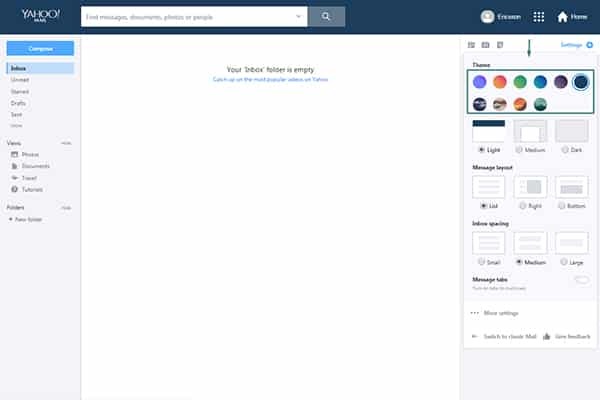 You’ll see all the messages from your selected folder that can fit on one page. 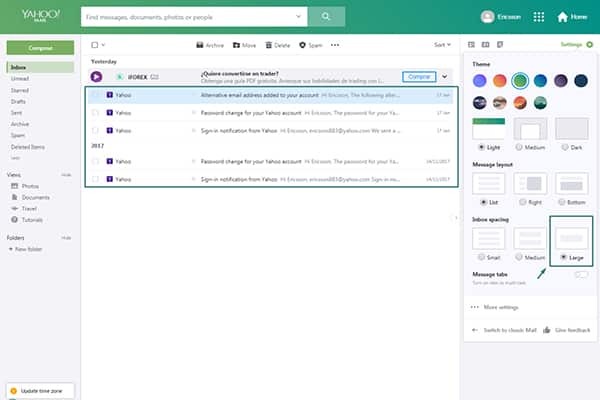 Now, obviously I only have 4 messages in my Inbox and I could have easily selected them all manually or just done the “Select all” checkbox at the top of my inbox. 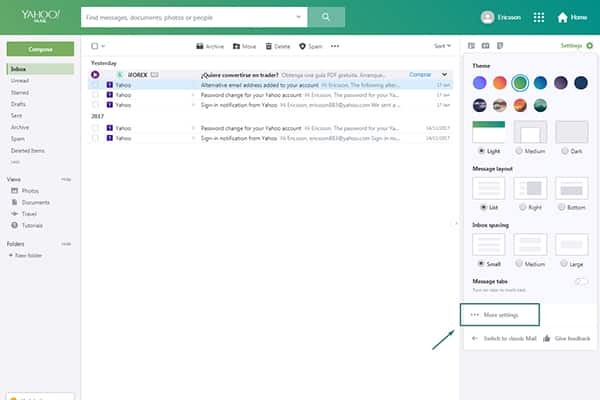 But if you have several pages of emails, doing this will only select “all” the emails on the first page, and you’d have to repeat it for every single page. 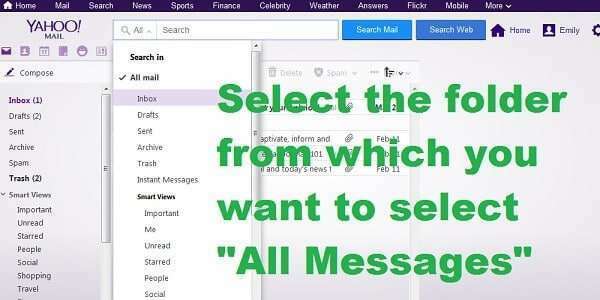 But with these search results, if you click the “Select all” checkbox, it actually selects ALL of the messages at once, no matter how many pages of emails there are. 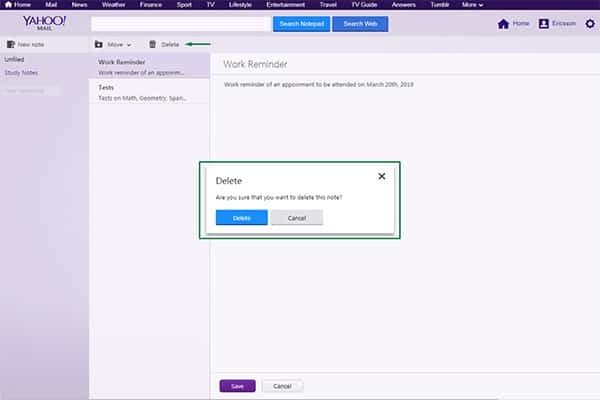 So simply click the top checkbox to select every email in the folder you chose, and then take whatever action you want with them (delete them, mark as spam, move to another folder, archive, etc.). 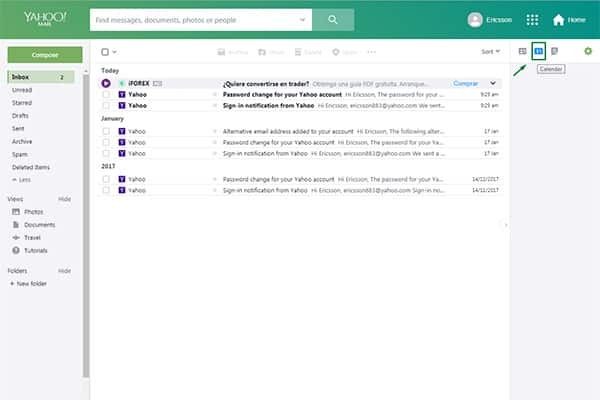 Yahoo Mail has some useful search operators that make it easier to find a specific email, even if you can’t remember the details about it. 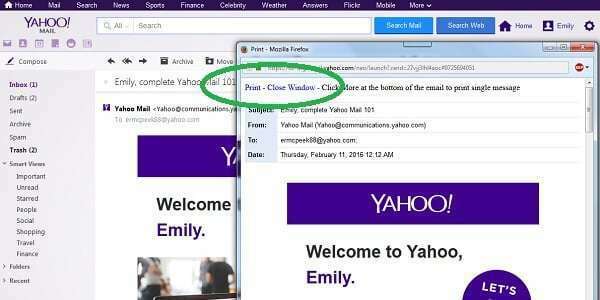 Most people don’t know about these email search tips, and they just blindly wander around their inbox until the find their desired message by pure luck or get tired of looking. 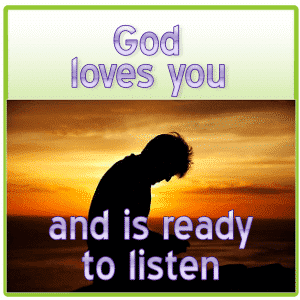 But not you! 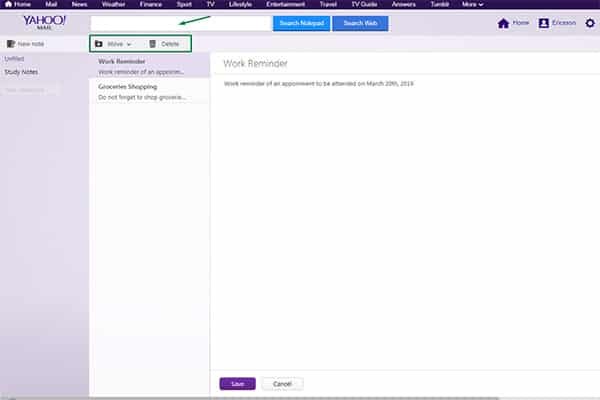 Let’s say I think I remember getting an email from my Grandma with a recipe that looked interesting. 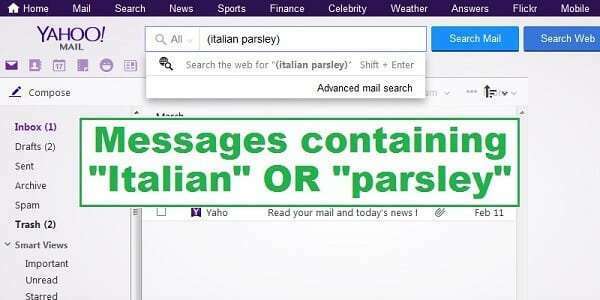 I think it was an Italian recipe that used parsley… or was it Italian parsley? 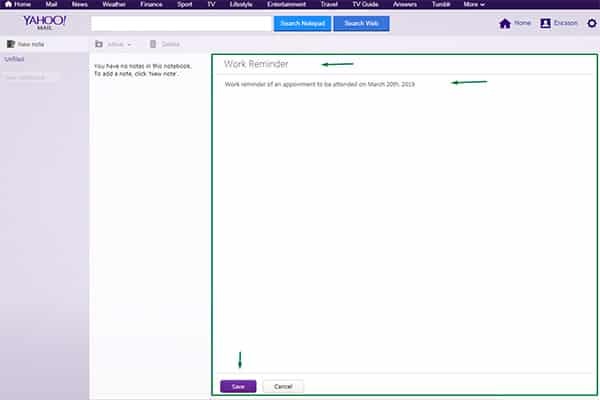 Was it even Grandma who sent it? 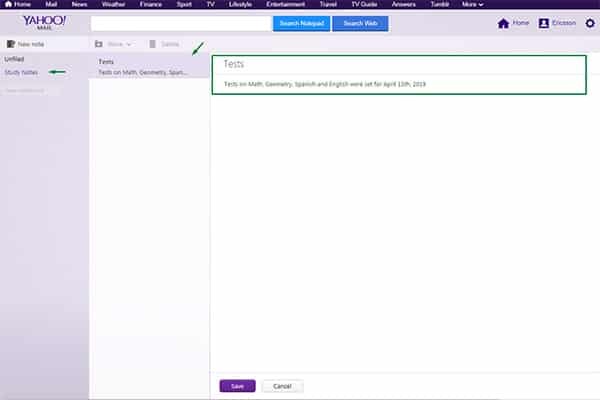 Where do we even begin?! If I type the phrase “italian parsley” (including quotation marks) into the Yahoo Mail search bar and click search (if you really don’t know where to look, it’s probably best to have “All” selected for the folder), it will show me all emails I have received and sent that have the exact phrase, “Italian parsley” somewhere inside them. 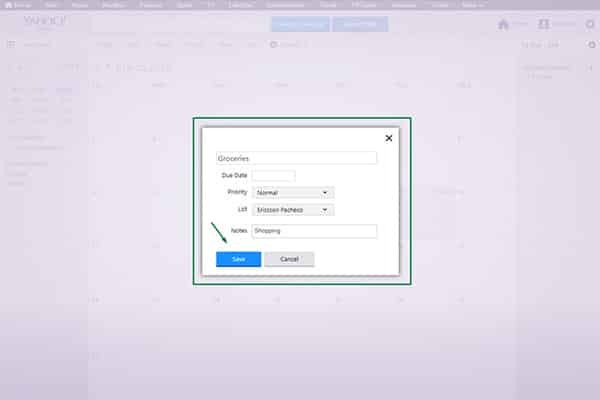 Search terms are not case sensitive, so it doesn’t matter if you use lowercase or uppercase letters. 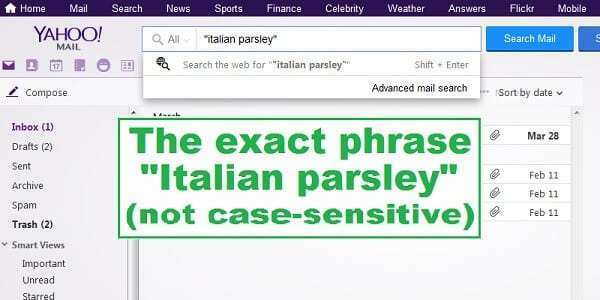 By removing the quotations marks and just searching for italian parsley, Yahoo understands this to mean “Italian” and “parsley”, so this will bring up all emails that have both of these words somewhere in them. 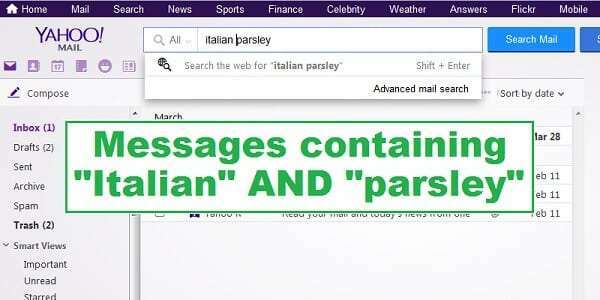 If you want the search tool to use “or” instead of “and”, you can enter the search terms in parenthesis: (italian parsley) will give all messages that have either “Italian” or “parsley”. 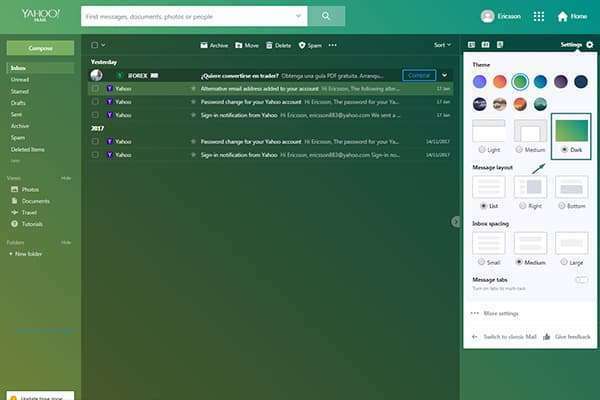 But now that I’ve looked through all these messages, I realize that it wasn’t parsley at all. 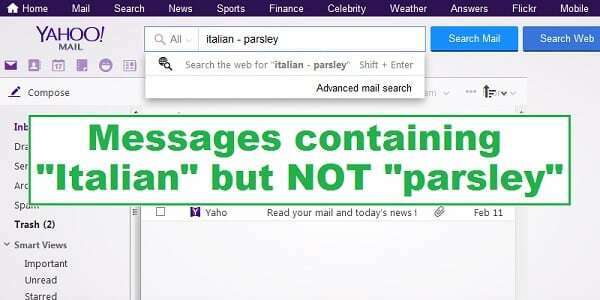 So I can enter (without quotations) “italian-parsley”; the – means “minus” in this case, so this will give me all messages that have the word “Italian” but only if they don’t have the word “parsley”. 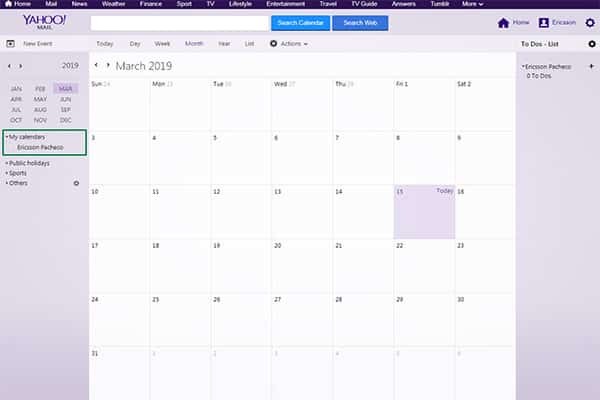 Let’s try another approach. 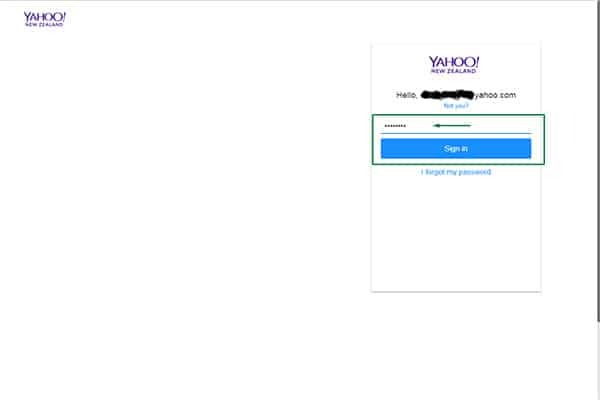 Maybe I’m pretty sure the email with the recipe I want had “recipe” in the subject of the message. 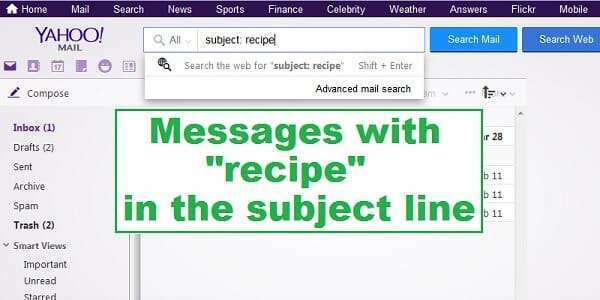 I can search (without quotations) subject:recipe to return all emails with “recipe” in the subject line. 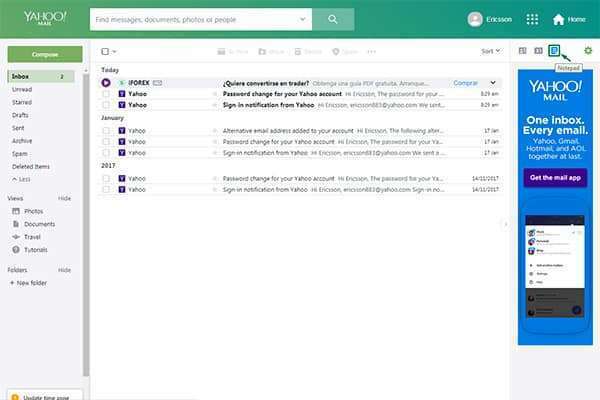 Ok, but if I have 1000 recipe emails from my Mom and I know she wasn’t the one who sent it, I can remove her messages from my search results using the same “minus sign” as before. 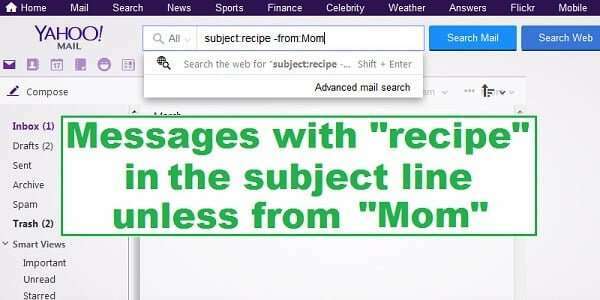 subject:recipe -from:Mom will return all emails with “recipe” in the subject that didn’t come from Mom. Now that I think of it, I am pretty sure that recipe was from Grandma. 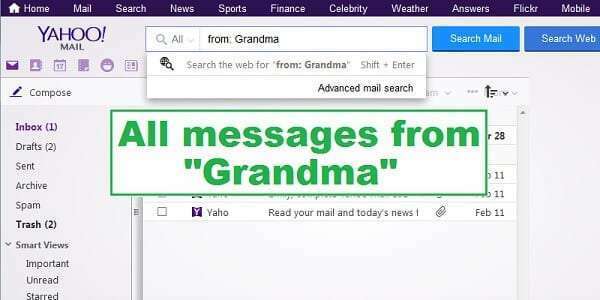 I’ll try checking all messages from:Grandma. 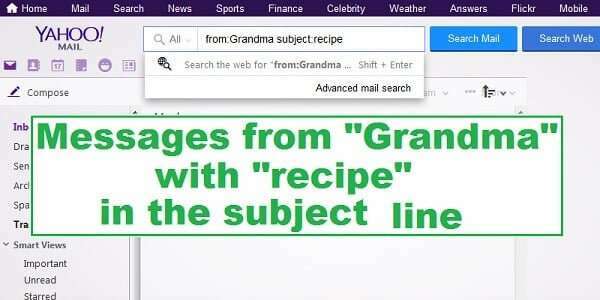 I can narrow that down a bit by searching only for recipe emails from Grandma with the search term from:Grandma subject:recipe. And so on and so forth, you can combine these operators “and”, “or”, “not”, “subject”, “from” in any way you want to find the message you’re looking for. 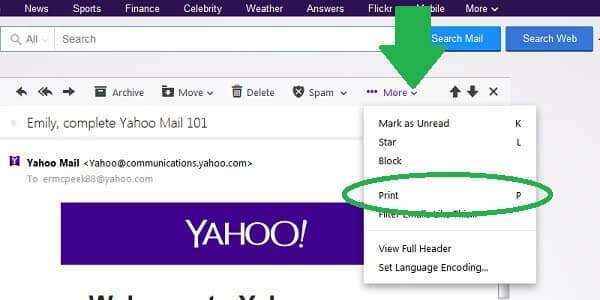 Most of the time, if you try to print an email directly from your inbox, you’ll end up wasting a lot of ink and paper on whatever advertisements were there when you hit the print button. 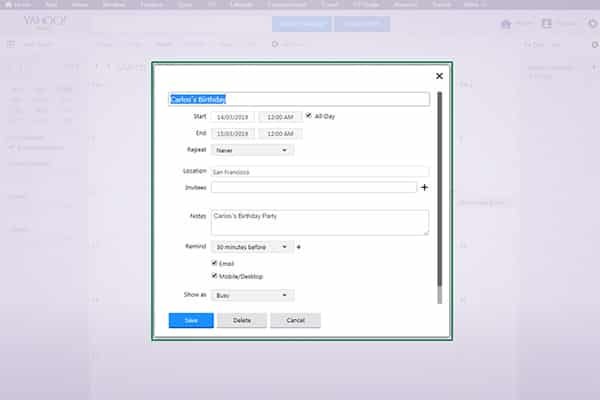 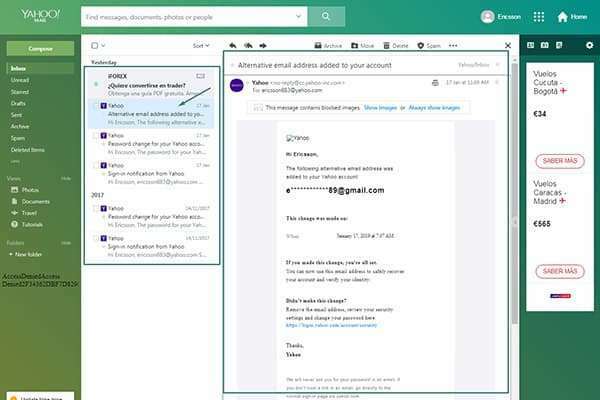 Luckily, Yahoo Mail has a super simple way to create an ad-free, printer-friendly version of an email. First, open the message you want to print. Then, just hit the “P” button on your computer keyboard. 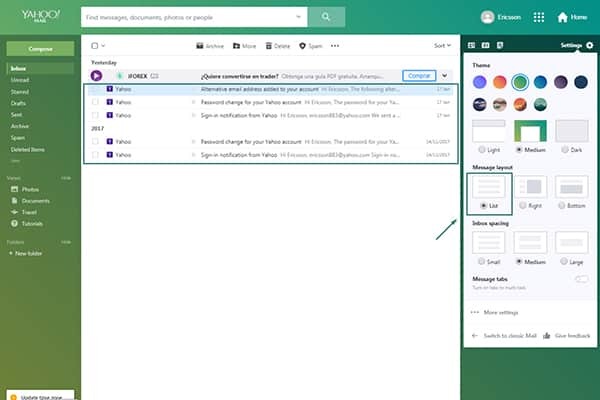 A new window with the printer-friendly email will pop up. 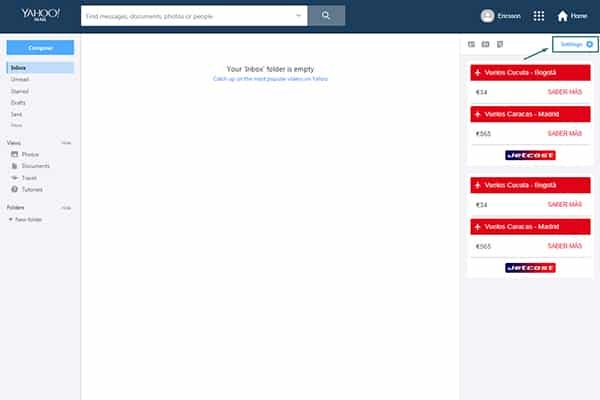 Alternatively, you can click on the “More” menu inside the email and click on “Print”. 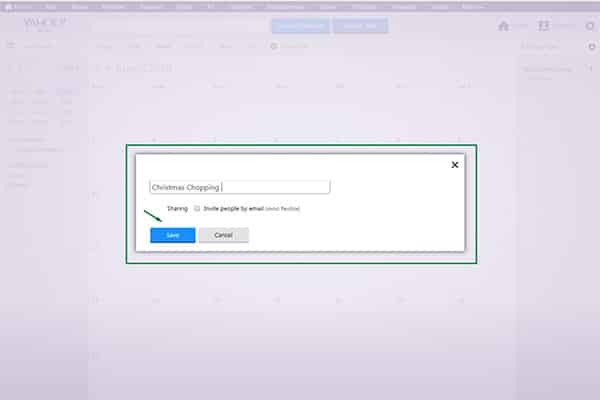 The same popup window will appear. Now you have 3 more tricks up your sleeve that will let you get the most out of your Yahoo account! 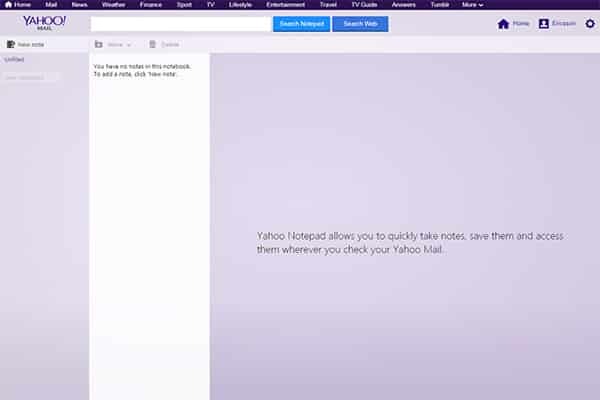 You’re basically a Yahoo Mail pro now.